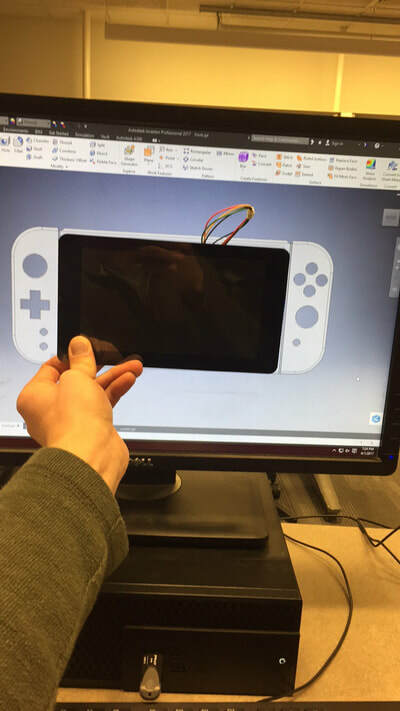 If you haven't realized it yet the Nintendo Switch was my inspiration for the design of the console. 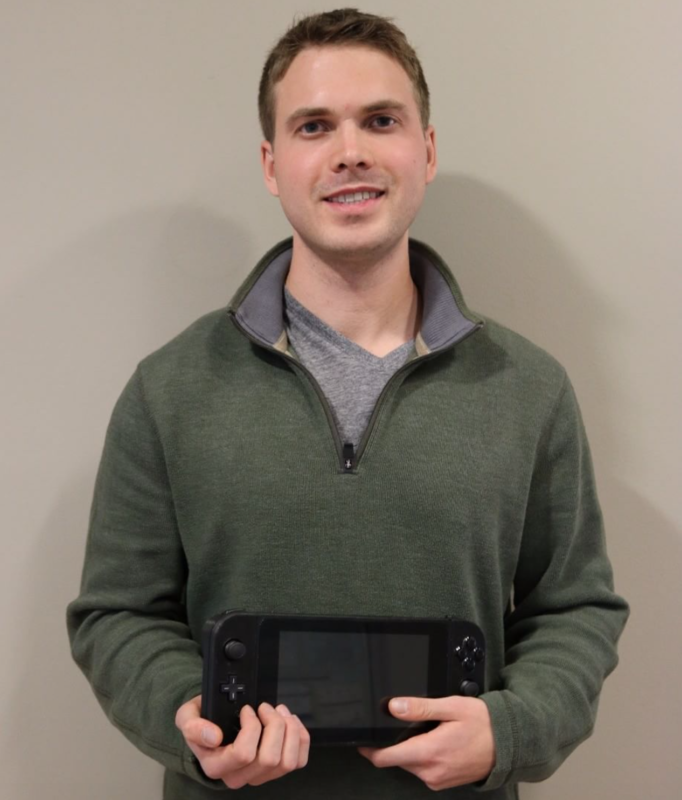 I focused on having the screen as the center of attention with controls on either side of it. To model my design I used Autodesk Inventor on a Windows machine and later switched to Autodesk Fusion to model on my Mac. 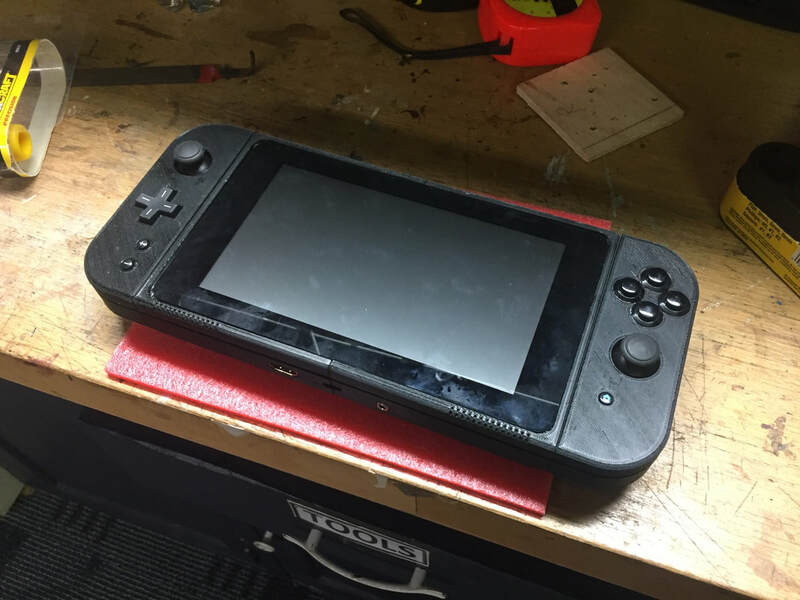 I revised my design over the course of 4 months printing small sections to verify they would turn out correctly. Below shows the final design I went with the dimensions. The 7-inch touch screen set the constraint on how big the middle section was and the left and right control pads were scaled appropriately to match the sizing. The case needed a required thickness of 35mm to house the 10,000 mAh batteries. This resulted in the device being drastically thickened and looking like a brick. 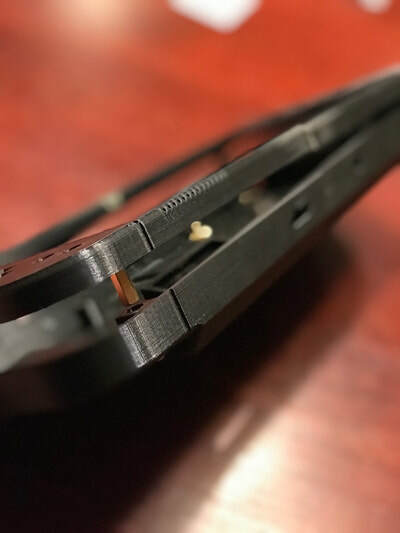 To combat this, the handhold areas were relieved of thickness to create the illusion that the device is thinner than it actually is. The top and bottom of the device chamfer backward so it appears to end sooner than it does. This made the device easier to hold and improved the physical appearance. 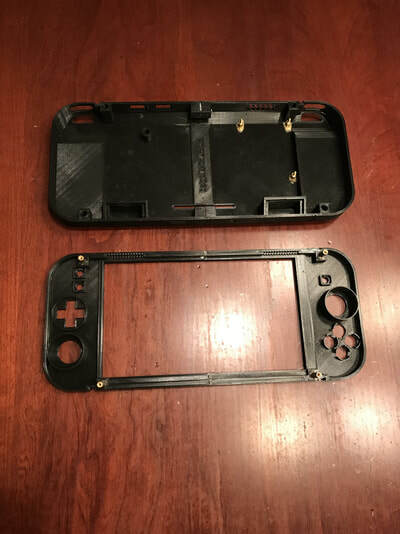 Front: The face plate contains all the mounting holes for the buttons and joysticks. The large hole in the center is for the screen to fit in. The standoff mounting holes will have standoff metal segments glued in to be used for alignment and lock with the back plate. Back: The backplate contains two resonation chambers for the speakers to be placed. These are directed towards the holes on the front plate to increase sound permeability. The standoff mounting holes on the back plate are used as alignment holes for the front pegs to slide into. Bottom: Underneath the device are three I/O ports. HDMI out to forward contents to another display. Micro USB for charging the device. 3.5mm headphone jack to listen with earbuds. 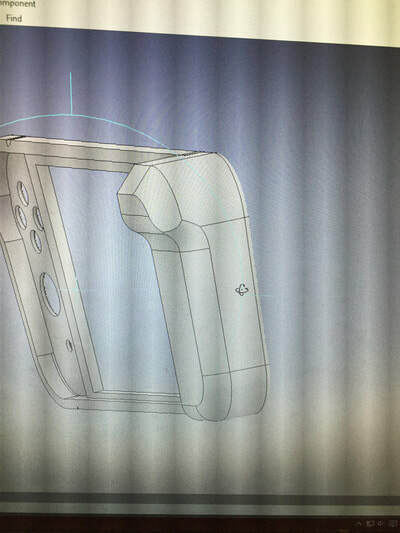 Top: Above we have some more user input buttons in the form of Bumpers and Triggers. Air flow for cooling is drawn in through the intake located on the back of the device and flows past heat sinks into a duct system to be exited out of the exhaust on top. Right of that is the 5 LED indicator which is a multi-use identification system. After that There are 2 USB type-A ports for serial interfacing. The Power button is used for turning ON/OFF the device (hold) and for displaying battery percentage (press). Screw holes secure the inserted metal stand off pegs to join the front and back plates. 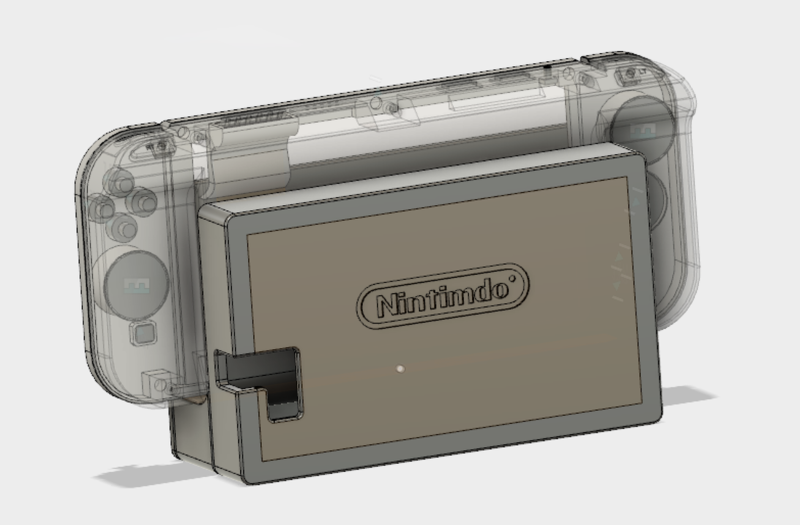 ​To print the device download my 3D model files and send them to your 3D printer. 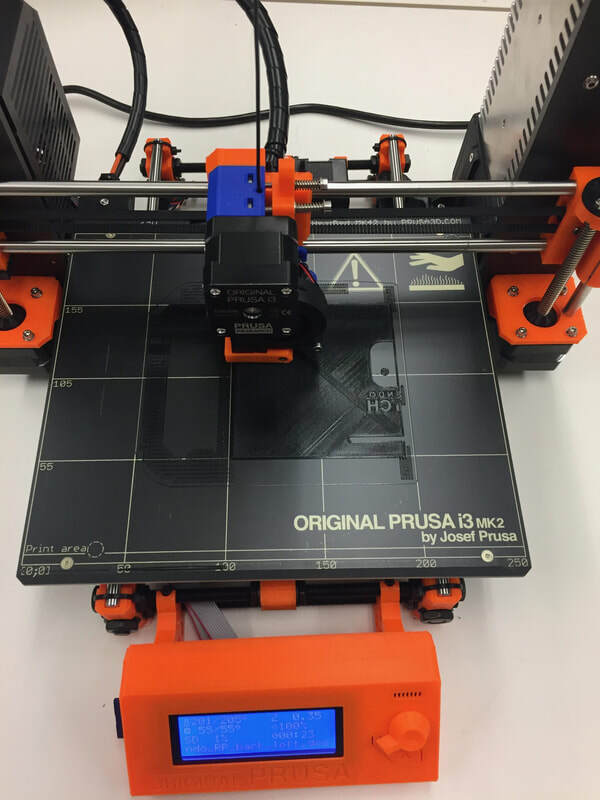 The printer I used was a Prusa i3 Mk2 along with black plastic filament. Printing quality was found to be best in a medium resolution setting. Be sure to add structural material under in the device (Hand holds will look poor without it). Back pieces were printed with the back flush with the platter. Front pieces were printed with the front face flush with the platter. 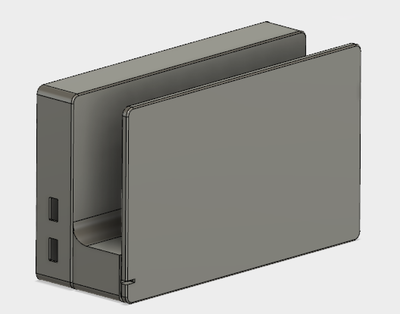 If I were to print another case I would want to use a new color such as atomic purple to show off the internals. 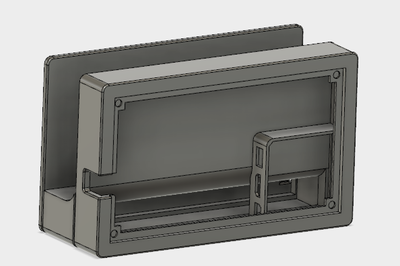 If you're like me and have an 8inch printing bed to work with you will need to print the 4 piece version which will be assembled after printing. 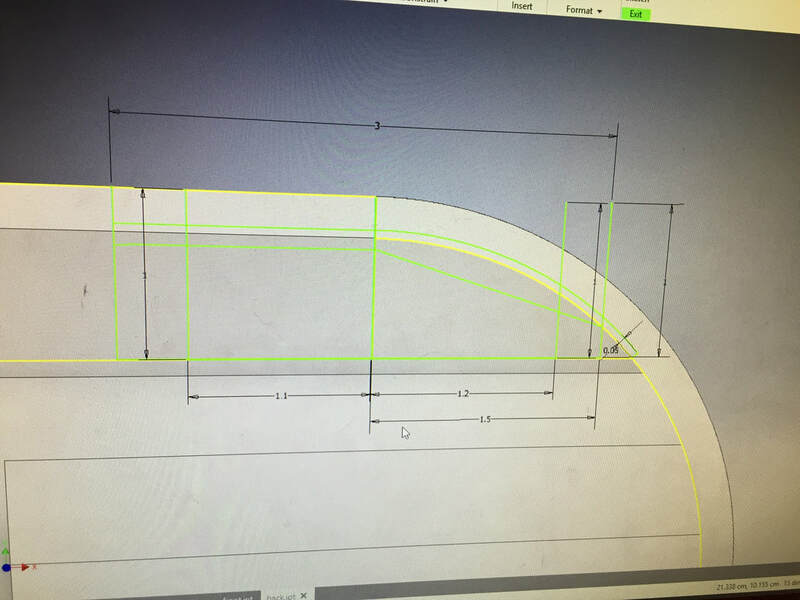 However, if your bed is large enough to do as a single piece, print the front and back plate as a single unit and avoid the pain of piecing them together. To assemble first join the front right and left pieces by inserting a metal dowel into the alignment holes. Next place superglue on the joints and secure the halves together. Repeat the process for the bottom right and left halves. After this, you should be left with an assembled front and back half. Now it is time to attach the 5 metal standoffs for merging the front and back plates. The easiest way to do this is to first get the standoffs to the correct length. 13 mm depth in back 5 mm depth in the front. So make the standoffs 18mm or slightly less. I did this by placing a longer standoff in a vice grip and using a grinder to shave down the size. Be sure to only grind off one side because you will need the threads on the other. After you get the correct length glue all the ground off sides to the front face using regular gorilla glue and let it dry. Be sure they are all standing up straight during this process. Once dry scrape the excellent glue that foamed up so that the faces can be flush when put together. Now see if you can insert the back plate onto the standoffs to join with the front. Screw together through the back plate to secure. Glue screen on by lining the frame with the duel tube Gorilla Epoxy. I put too much on when I did this and it overflowed onto the screen. Luckily it rubs off! Clamp and let dry for a while then line the backside with regular Gorilla glue. 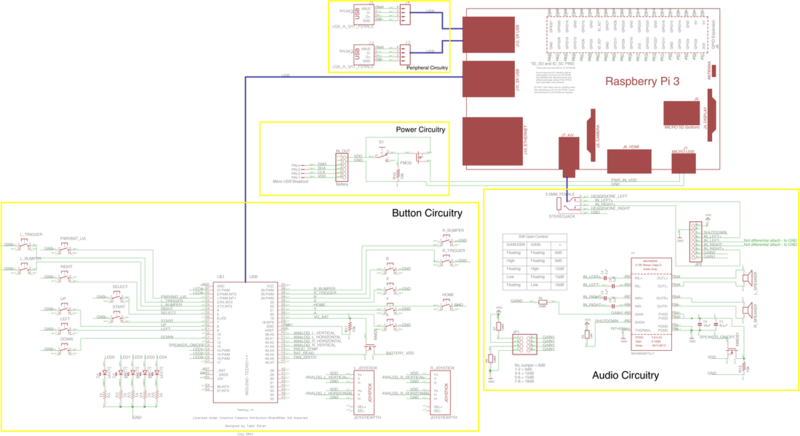 Here is a circuit schematic I made showing in detail how the whole system is wired. Capturing all the button presses is done using a Teensy ++ 2.0. The three cell Anker battery supplies power to the entire device. To turn the device on/off, the output of the battery regulator is wired to a switch and then to the Raspberry Pi. Because the device can draw up to 2A a simple 250mA toggle switch cannot handle the current requirement. Instead, you can use the switch to control the gate voltage on a PMOS transistor to serve the purpose of a switch. Wire the 5V of the battery to the source of a PMOS transistor and the switch. The other end of the switch is wired to the gate of the PMOS transistor and to a 10K resistor connected to GND (when the switch is open to prevent the gate from floating it ties it to GND through a resistor). The Drain is wired to the 5V input on the Raspberry Pi along with the ground. To charge the battery simply wire the micro USB female breakout board to the correct charging pins (extends input to the case). I hid this switch in the air intake in the back of the device. 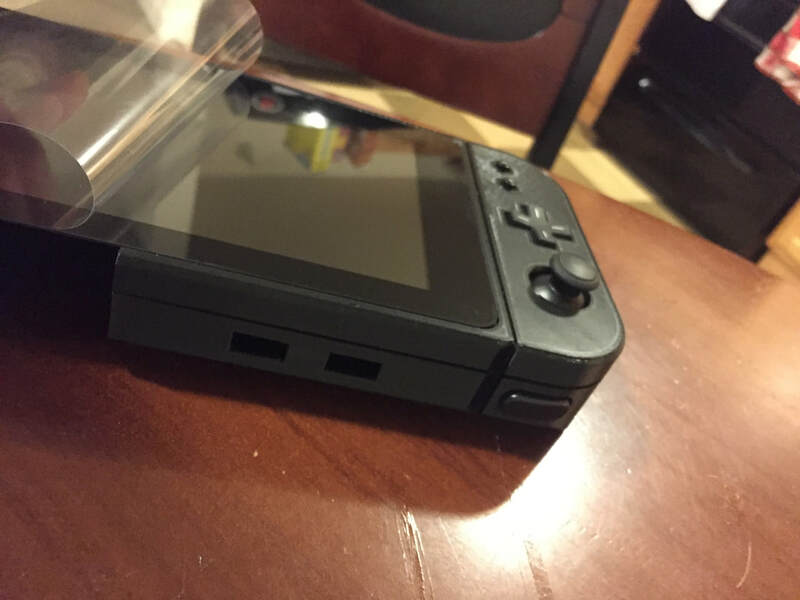 Originally I was planning to instead have the battery button turn the device on and off by holding it for a certain duration, unfortunately, I ran out of space and had to do the simple implementation. This alternative design is shown in the schematic below. The purpose of this alternative circuit is to utilize the battery push button to turn the device on and off. (Hold for x seconds= ON/OFF, single press=battery level read). This alternative design I came up with has only been tested in simulation. If I had room I would have made a small PCB with surface mount NMOS and PMOS transistors to implement it. 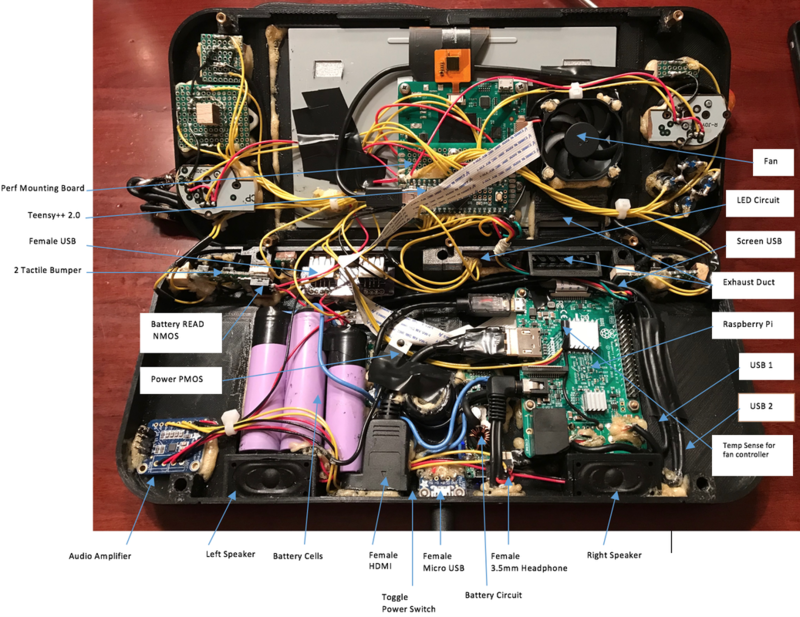 The alternative design is comprised of an inverter, two PMOS pull up transistors, a push button (the battery read button) and resistors to make sure no floating occurs. 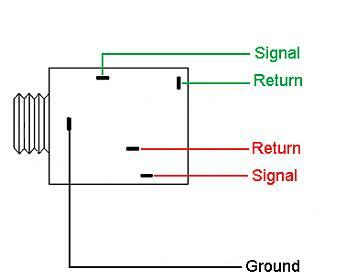 Sig 1 is the input signal to the gates of the inverter. Sig 2 is the input to the PMOS following the push button. NOT_out is the output signal of the inverter fed into the gate of the last PMOS. Sig 1 and Sig 2 are generated digital signals from the teensy and are grounded when the device is off. 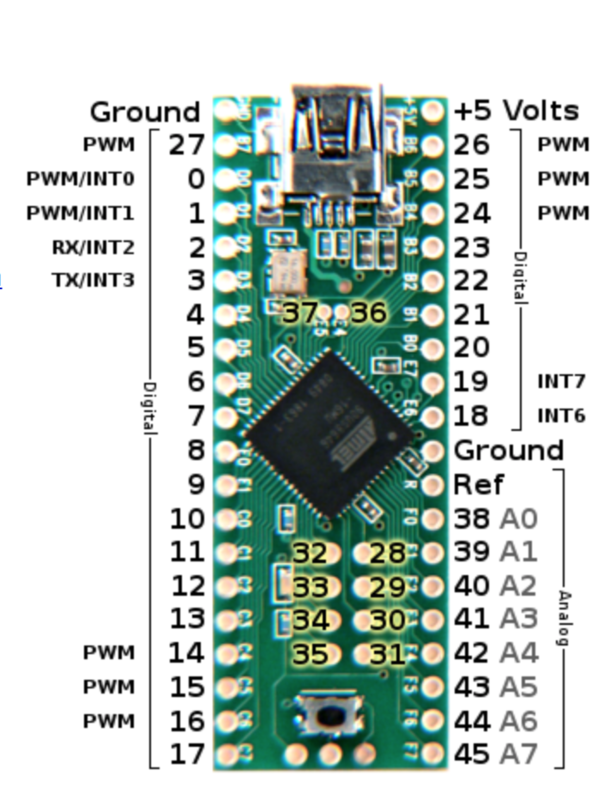 PWR is the input power to the Pi. The Pi powers up the teensy via the USB. The device is off: Sig 1 & sig 2 are grounded because teensy is off. This results in NOT_out=5V from the inverter and the PMOS following the push button to turn on (won't do anything since the switch is open). The second PMOS following the inverter is receiving 5V at the Gate so it is off. The PWR is connected to GND through a resistor, because of this no current is flowing, resulting in the Pi being OFF. The push button is held to turn on the device: When this happens 5V runs through the switch and through the push button PMOS to be connected to PWR. 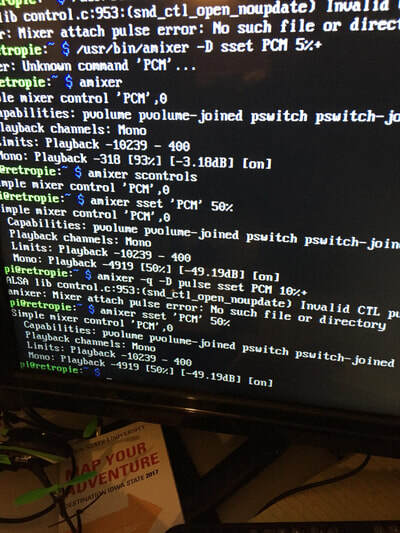 PWR can now boot up the Pi which powers up the teensy. You need to program the teensy to set a digital Pin HIGH that is connected to sig 1, this will hold the state for you and make sure the device stays on. 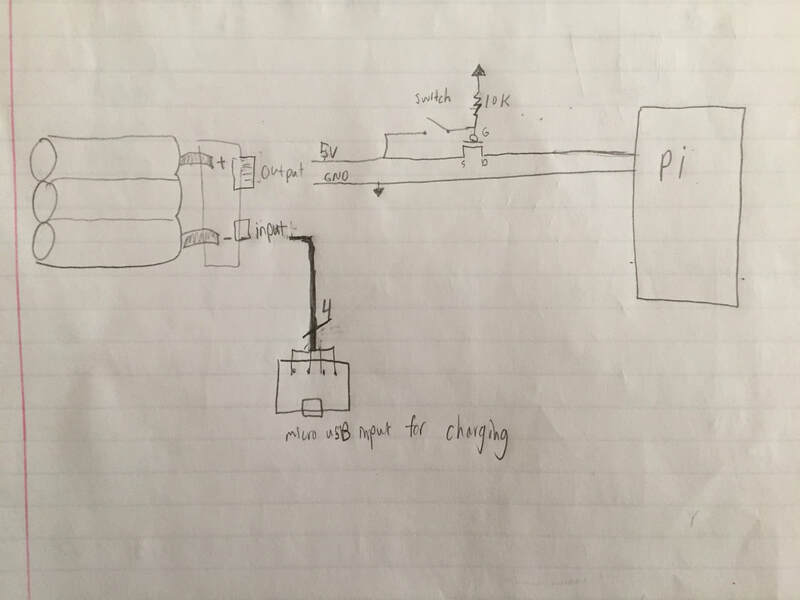 It holds the state by sending 5V to sig 1 (into the inverter) which makes NOT_out=0V going into a PMOS gate to turn it on and directly connect 5V to PWR. Once this is completed you can have the Teensy set another digital Pin HIGH that is connected to sig 2 for the push button PMOS gate. By setting sig 2 to a high voltage you turn off that transistor isolating any button push from now on to not affect the power. This sequence allows a push button hold to turn on the device. If you don't hold down long enough for the Teensy to change sig 1 to HIGH the device will prematurely shut down. The device is now on: Since the device is now on if you have a digital sense line to the resistor following the push button you can find out when the button is being pressed. Pressed=5V released=0V. Depending on how long you see 5V=HIGH you can program the teensy to either give you a battery level reading or if it's held for X seconds to turn off the device. For the audio I wanted the sound to naturally play out of the speakers (if not muted) and redirect into headphones if they are plugged in. Fortunately, many of the female 3.5mm headphone jacks are mechanically capable of doing this. When a male plug is inserted the speaker leads will bend and create an open circuit, thus preventing the signal from reaching the speakers. Since the speakers are a larger load the audio signal must be amplified to be able to hear it. This is done using a stereo class D amplifier I found on Adafruit. Simply bias the amplifier with 5V and GND. We do not have differential audio inputs so wire the left and right speakers to the positive terminals and tie the negative terminals to GND. Gain is adjusted using the jumper. I set the gain to the maximum and am changing the output audio signals amplitude via software to adjust volume. To mute the device I have an NMOS transistor controlling the 5V bias. This NMOS transistors gate is controlled by the Teensy. An issue I have is a constant high-frequency noise is present in the external speakers. I will analyze this on an oscilloscope, may be coming from the 5V bias because of some regulator switching at the battery or the lines may be picking up RF somewhere. Also, be sure to twist the right and left lines to minimize electromagnetic interference (EMI). This circuitry includes the USB mounts and LED indicator. 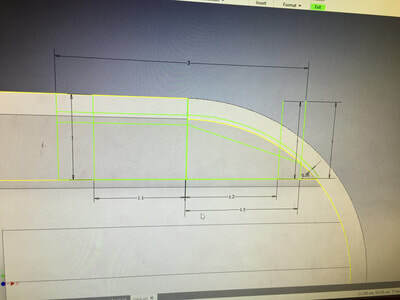 Order the PCB in my link and cut in half along the dotted line using a bandsaw. On the USB side, all solder the two female USB ports onto the board. On the LED side solder the 5 LED's and 5 resistors in series. 5V, GND, D-, D+ can be extended using wires from the Raspberry PI's desoldered USB's to the PCB. 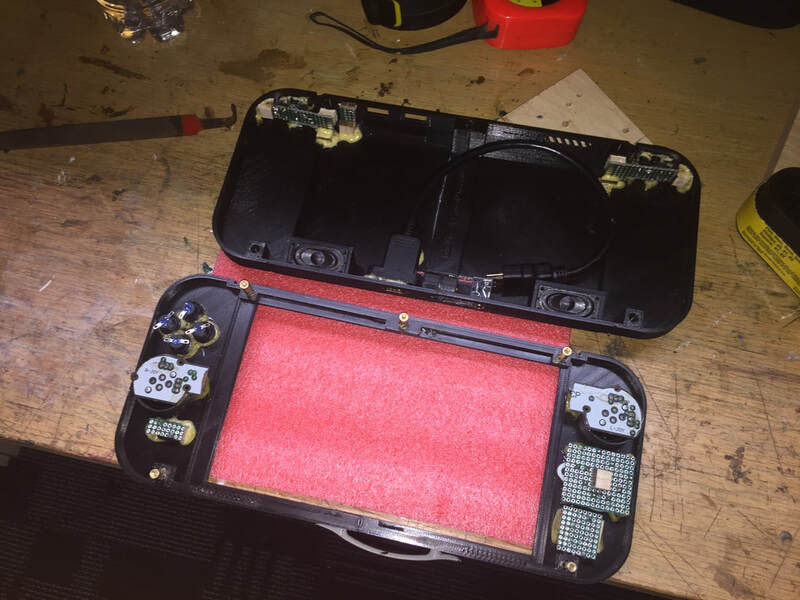 The LED PCB can be placed so that the light shines through the holes on top of the case. Wire 5 PWM outputs of the Teensy to the LED's along with GND. By varying the duty cycle you can alter the brightness of the LED's. 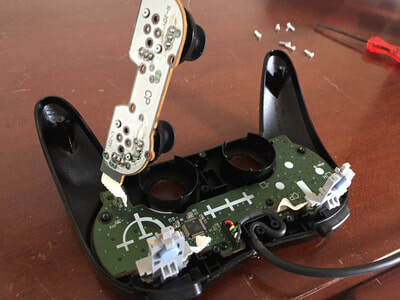 The analog sticks, start, select, home, right/left bumpers, D-pad were stripped from a used Wii Classic controller I found online. 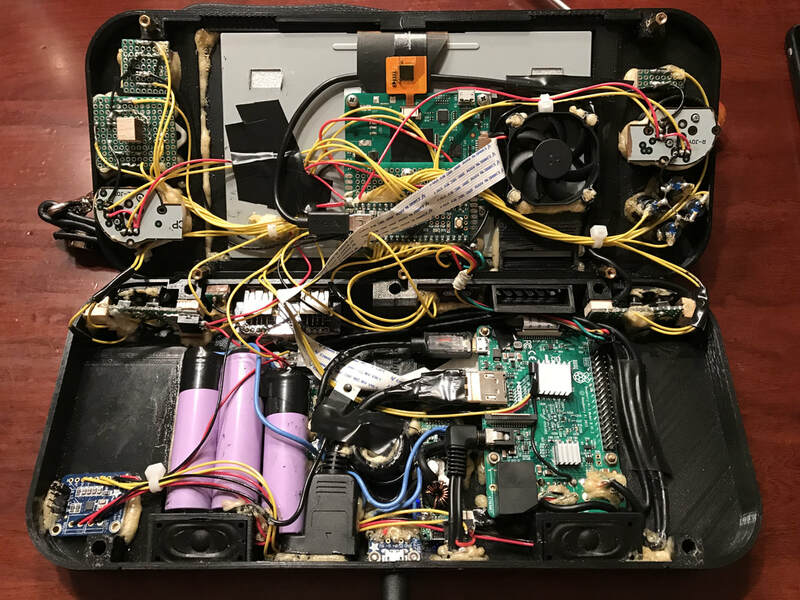 Since I didn't have a precise enough housing I couldn't use the silicone bounce pads with a sortable PCB behind to register a button push. Instead, I stuck tactile buttons behind each of the plastic button faces. These tactile buttons were soldered onto a mounted perf board behind the front panel. Everything was put together using super glue for an initial hold then secured using regular Gorilla glue. Since the A, B, X, Y buttons were often used I wanted to get something that could be pressed deeper so I bought some panel mount buttons. These are stiff when you get them but are working fine now that I've broken them in. 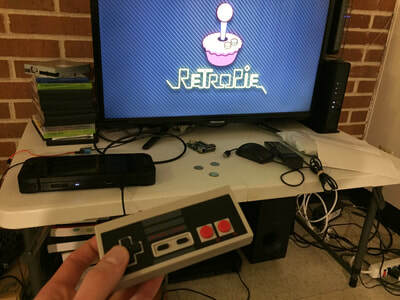 ​In the example below, the right joystick vertical is wired to analog pin 41. The analogRead(pin) function receives a voltage level between 0 and 5V and returns a value of 0 to 1023. An ideal center position would correspond to 2.5V or 512, however this was not the case for my analog stick so adjustment needed to be made. This was done through a remapping shown below. After that I needed to check if the bounds were not exceeded 0 to 1023. 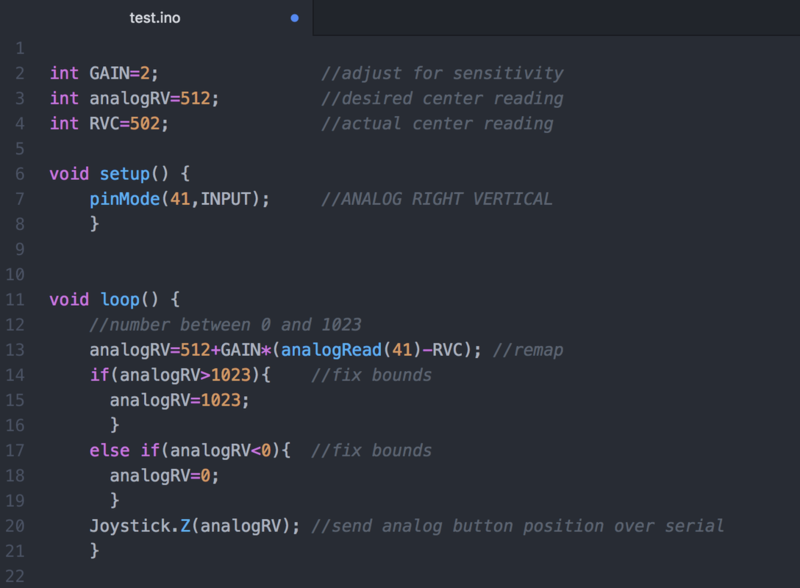 Lastly the analog joystick command was sent over serial to be the analog button Z using Joystick.Z(value 0 to 1023). 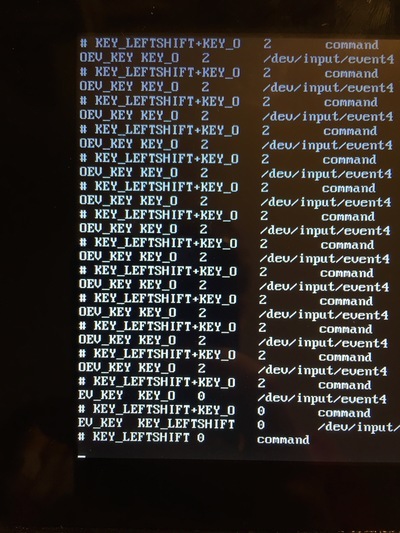 To adjust brightness you can youse the CLI and type echo n > /sys/class/backlight/rpi_backlight/brightness with root privilege. Where n is a value 0 to 255. 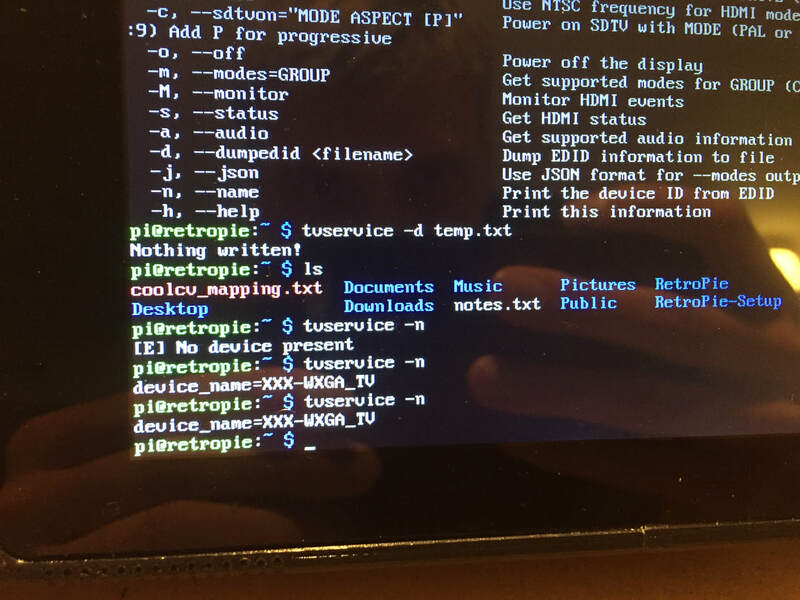 If you want the brightness set at a specific level every time the Pi starts up. 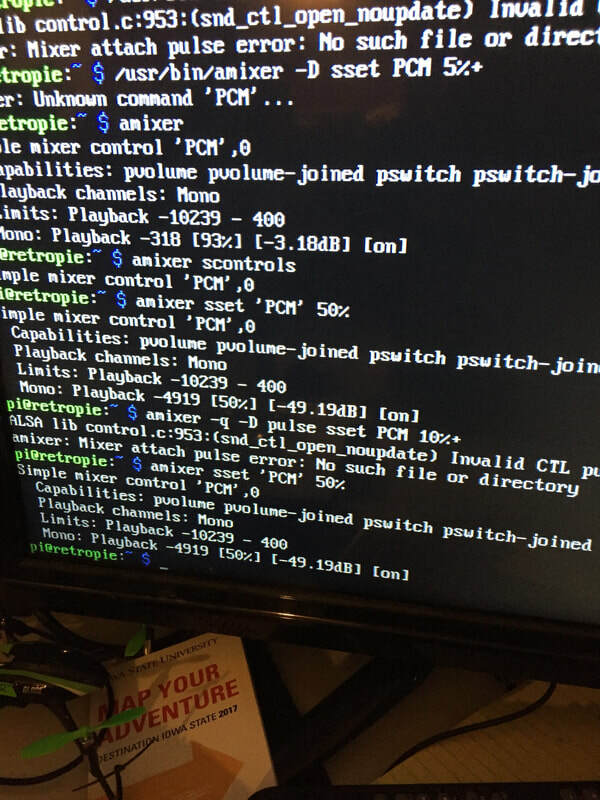 You can add the command to your local.rc profile which is read every time the Pi boots. 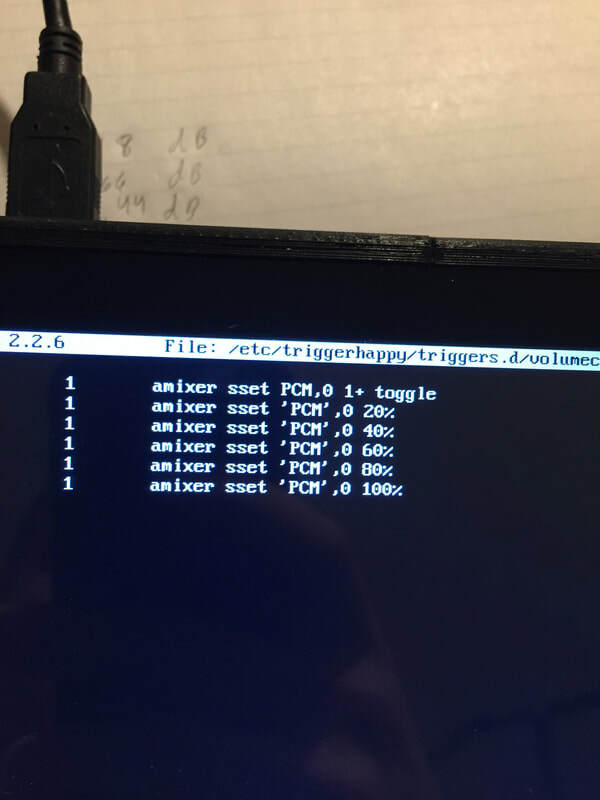 Triggerhappy Daemon is used to control volume and screen brightness with buttons as well as powering down the pi. When a certain button combination is pressed the Daemon will execute the corresponding command. 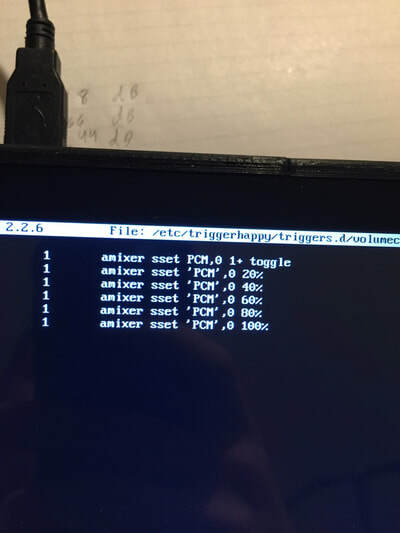 DAEMON_ARGS="--daemon --triggers /etc/triggerhappy/triggers.d/ --socket /var/run/thd.socket --pidfile $PIDFILE --user pi /dev/input/event*"
now you can create your configuration file which specifies the button press and commend to execute following it. In the future while working in the CLI it may be helpful to use sudo service triggerhappy stop, you will understand why! I needed to program the behavior of outputting video to the 7inch touch screen by default and to the TV when an HDMI is plugged in. This took quite a bit of research. 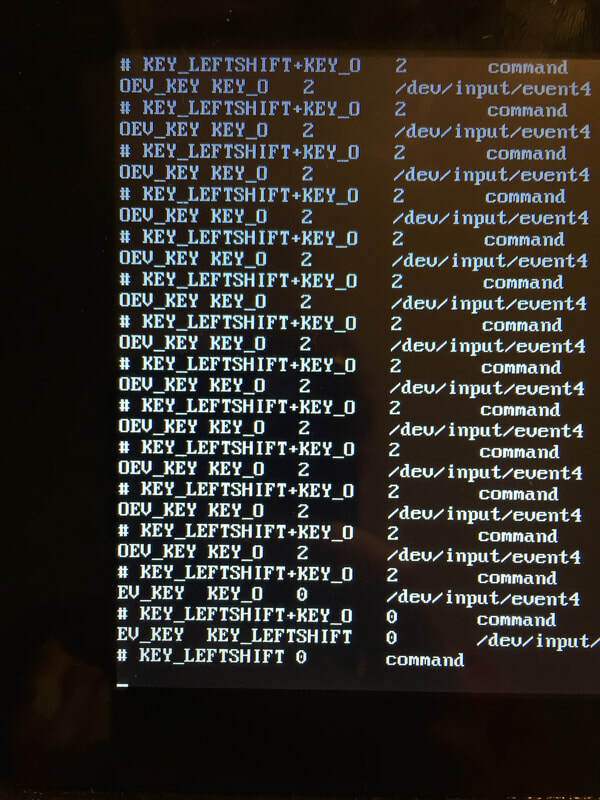 Since I am using a Pi 3 I cannot simply read the HDMI pin 19 off the GPIO pins. 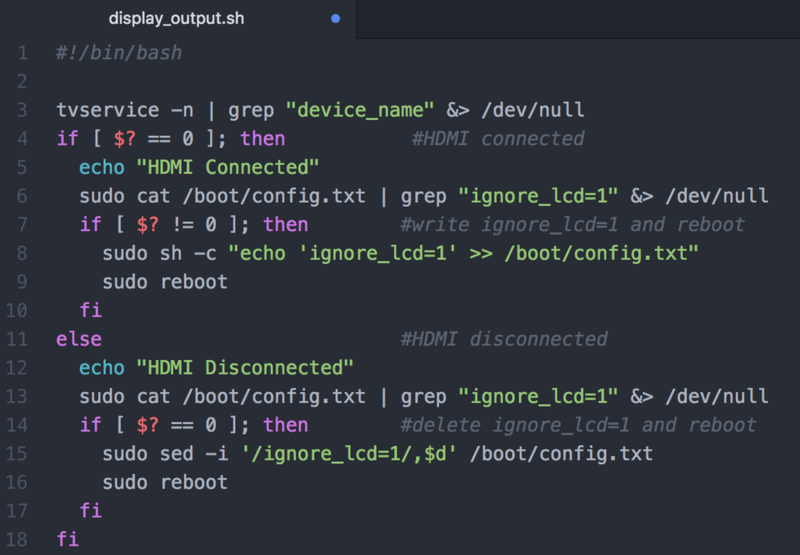 I worked around this issue by reading the output from the command tvservice -n to check if HDMI is connected. 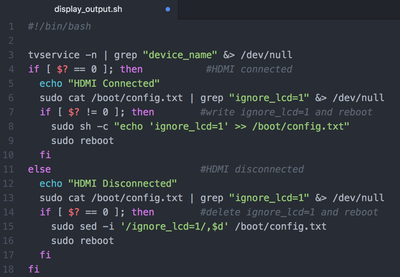 My script decides from the return value to place ignore_lcd=1 into /boot/config.txt or remove it. If a altering of config.txt takes place, my script reboots the system for it to take affect. 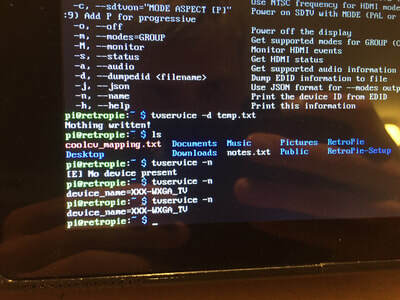 The script is run on boot by being placed in /etc/rc.local which requires you to have the device you want it to work for plugged in before you turn the device on. I enjoy hearing how the projects turn out. Feel free to send me a picture of your finish project and I'll add it to the slide show on the right! Below is my bill of materials with links to where you can purchase the parts. Please let me know if you have any questions in the comment section below, I am happy to help. I will update this instructional periodically if there any noticeable areas of confusion.